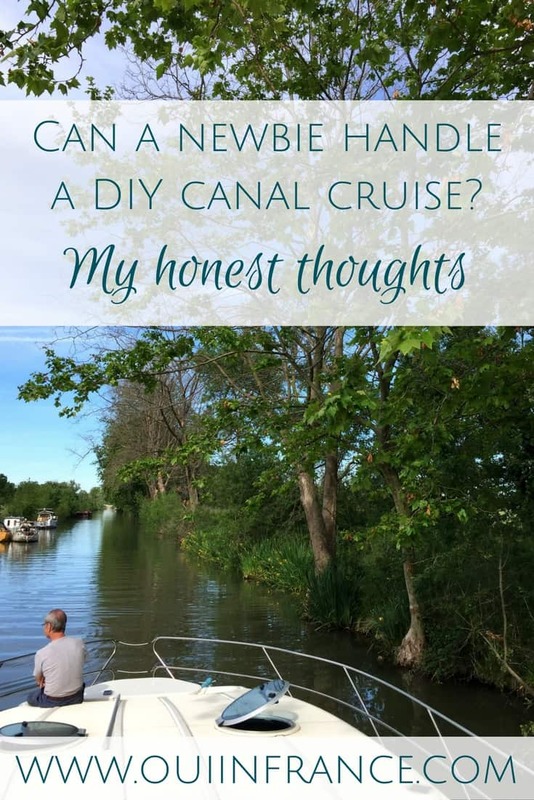 The most common question I got after our first self-piloted canal cruise was whether or not someone new to boating and the canals can do this type of vacation and actually enjoy it. Would the stress of handling a boat get in the way? Should someone with no boating experience even consider a canal cruise? 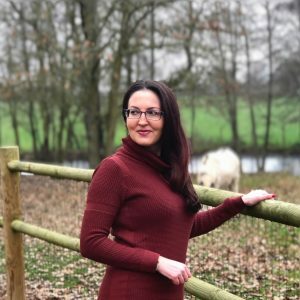 Here’s my advice for beginners! 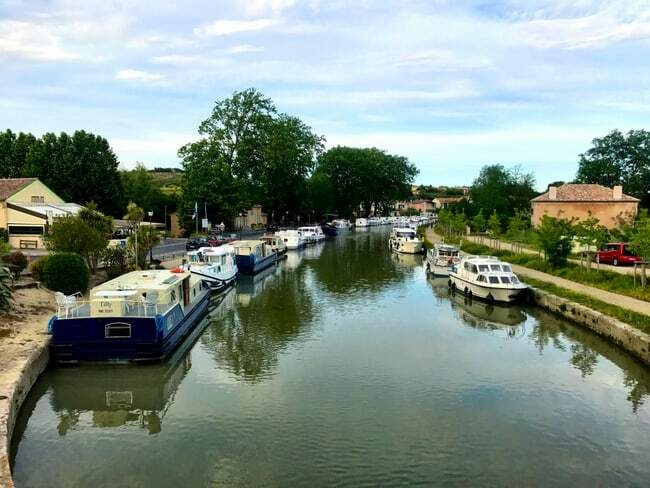 In case you’re just tuning in, I recently got back from a canal cruise with my family in the Camargue and the Canal du Midi. You can read more about it here! I know that handling a boat by yourself for the week can seem like a tall task. I was a total beginner once too. 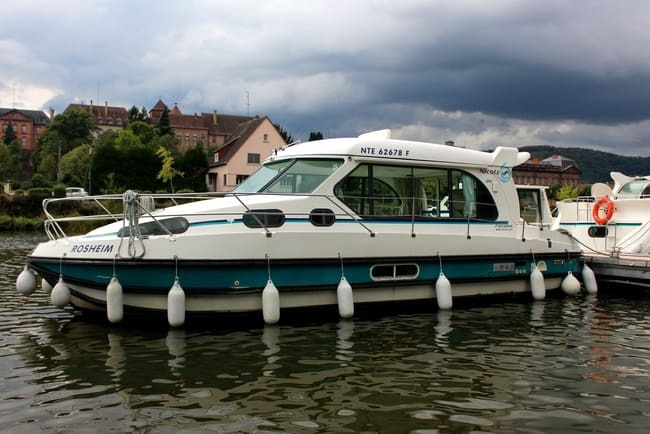 Keep in mind that all of Nicols’ boats are self-drive and do not require a boating license. People just like us rent boats like this all the time. If you have limited boating experience, you’re not alone. Before embarking on our first canal cruise in Alsace, Tom and I had never been the captains of our own boat. My father-in-law had a boating license years ago, but soon learned that he had forgotten pretty much everything in the 35 years since. So for all intents and purposes, we were total newbies. Nicols knows that many of their customers are total beginners. When you arrive at their base, an employee will show you the ropes, literally. You’ll go over the boat, safety procedures, and then learn basic maneuvers. Before departing, they’ll make sure to answer all of your questions and that you feel comfortable with the boat and the route. There’s an emergency number in the big binder Nicols gives you full of info about the canal, the boat, and general safety, so you are sure to get in contact with Nicols no matter the time of day. Docking: Boats don’t react like cars and a “simple” maneuver might take multiple attempts if you have minimal experience. As we found out, there were many areas to dock that required very little skill. General boating know-how like tying lines, passing other boats, etc. : Sometimes the best way to learn is to just do it and I found this out the first day. I also did a bit of research (more on that below) so I felt confident enough with the boat. Bear in mind that when you’re on the canal, many of the other people you see have rented a no-permit-required boat too. There are several companies that all offer the same concept, so don’t feel like you’re the only one who has very little experience. The no-permit boats are capped at a speed of 8 km/h, as in the boat is configured so that you cannot go any faster than this. Slow is always better. Also keep in mind that no one is allowed to boat on the canal past sundown, so once the sun sets, everyone is docked. No need to worry about navigating at night! Also, there’s little to no current in the canal. Unlike a river that moves, the canal water is mostly still making maneuvers easier than they would be in the ocean or bay. 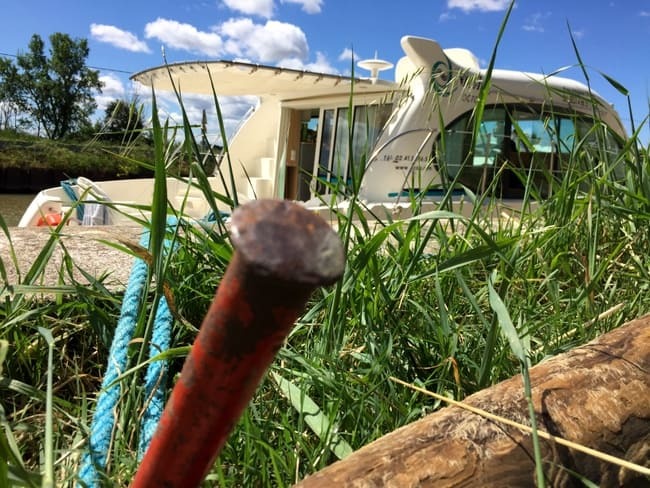 So… can you handle a boat on the canal with limited boating experience? If you’re interested in booking a self-piloted canal cruise and you’re a newbie, please remember you’re not alone. As I said, Tom and I had no clue before our first trip and we learned along the way. We ended up loving it! You can absolutely do this. That said, there are a few things I recommend doing and NOT doing if you’ve never done a canal boating trip before. Book a route that doesn’t have a ton of locks. That way you can just enjoy cruising. Locks aren’t scary or dangerous if you follow safety procedures and understand what you’re doing. They can get tiring though if you have a bunch in a row or you end up having to wait a long time for it to be your turn. Fewer locks = less stress. Do NOT book the largest boat in Nicols’ fleet: This is for your sanity and safety. Boats take a while to react to steering changes, so if you’re not used to handling a boat, a large boat will be more difficult to dock and maneuver in general. 2) You’re the most chilled out person there is and nothing fazes you, you don’t panic, and you’re extremely good at figuring things out on your own. Another note on that. Many of the larger boats have bow thrusters, a propulsion device that’s there to help you maneuver. With the touch of a button, you can make small adjustments to where your boat is pointing in about 1 second flat. This is majorly helpful if you’re a little crooked heading into a narrow bridge or lock. This is my favorite tip because it can make the biggest difference. Use YouTube, Google, and email me if you have questions! If you show up clueless, it probably won’t be a disaster, but it’s best to be prepared. Know what it’s like on the canal to the best of your ability by researching beforehand. 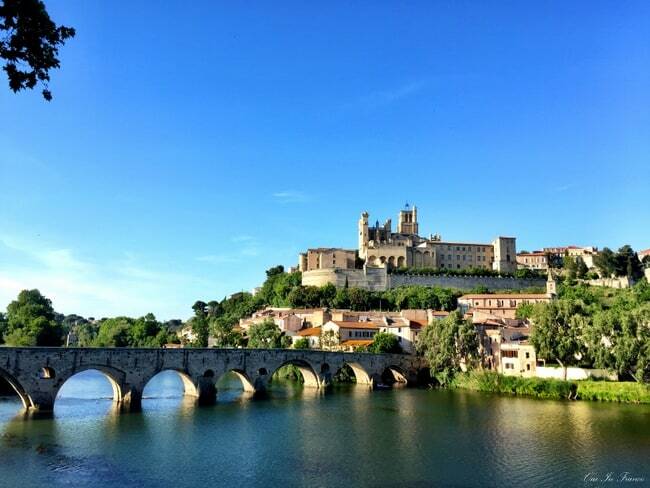 Do try a weekend trip first if you are not sure if a full week is right for you. Do a mini-break so there’s no obligation to set out for a full week if it’s your first time boating on the canal. Book a shorter trip and see if it’s for you! If you’re nervous about docking and having an audience watch you try to back in 5 times, skip the biggest ports. 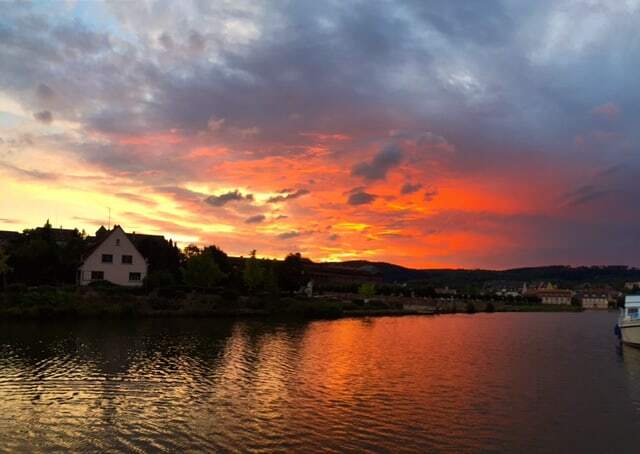 In Alsace, pretty much every port was quite small with minimal spectators. Along the Canal du Midi, though, there were bystanders even along the locks (they’re great in a pinch to help you with lines!). There are plenty of areas to moor along the canal as well as slips in smaller ports. That way you can practice your docking technique until you have the confidence to try a busier port. And really, who cares what anyone else thinks. If it takes you 5 tries to dock correctly and safety, then so be it. Everyone was a beginner once! 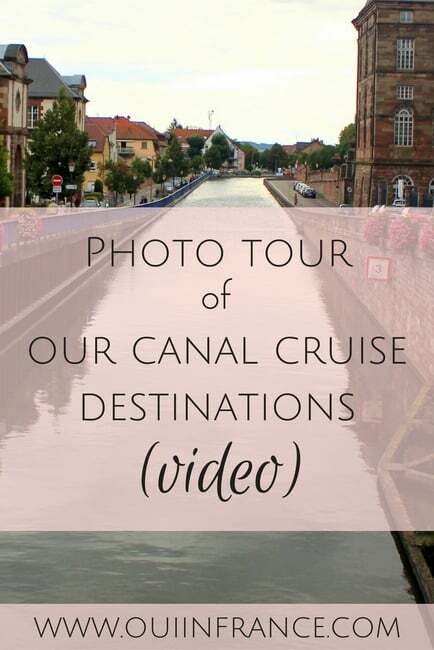 What do you think of a trip like this on one of France’s canals? There is nothing to worry about as far as piloting a rental boat vs. nonrental. 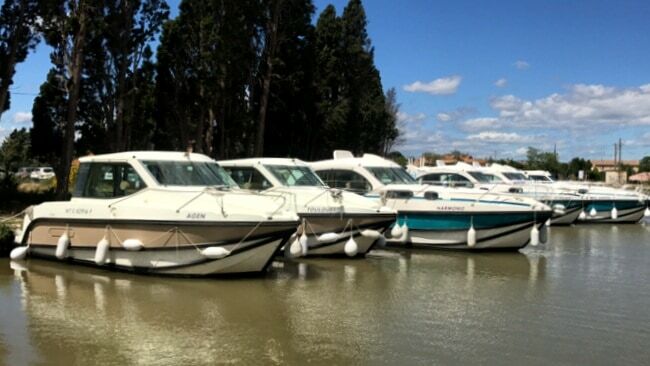 There are SO many companies, it’s rare I see boats that aren’t rentals (and I live right next to the Canal du Midi). Rentals account for the vast majority of the vessels on the canals. 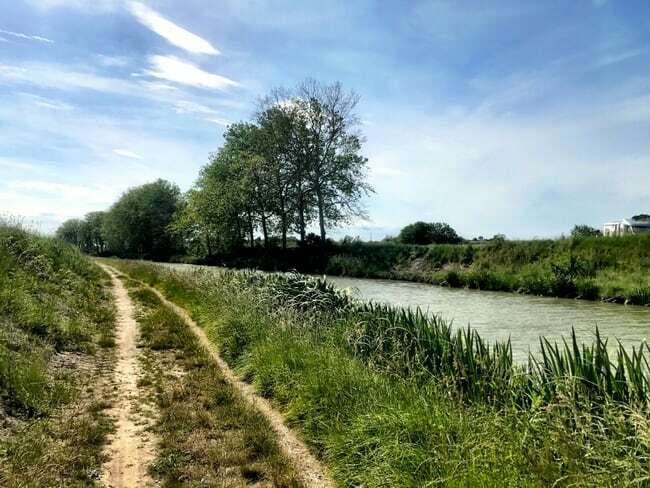 I am really surprised you had bystanders on the Canal du Midi, which is so much less touristy than Alsace. Folks down here in the south have nothing else to do but to watch the locks! The part of Alsace we cruised was more rural than the Canal du Midi. We saw more animals than people in Alsace. Both areas were equally nice but for different reasons. This trip was very lively! In Alsace, it wasn’t always possible to find a market or fresh bread. I had to look up the word dill. 😉 It’s really much easier to handle the boat than you’d think! Great canal boating tips! I have to say you were way more prepared than we were when we went 15 years ago. We basically read the brochure they mailed to us and got instructions the day we got there and managed with few problems. The only catastrophe was forgetting to put the umbrella down before going under a low bridge! AH, well hopefully the umbrella and the bridge escaped unscathed! I think I needed to be as prepared as possible or I would have had a heart attack the day of. Luckily, it worked out for the best! Have you done another canal trip since? Thanks for your comment, Amelia! Thank you! I was exactly like you — never knew about this type of trip and wasn’t sure it would be manageable for us, but it totally was and we had a blast! Very good tips here Diane. Thanks! It’s always good to be prepared as you say. Thanks very much! Yes, no harm in taking a little extra time to prepare!